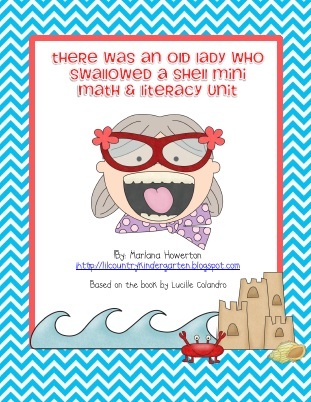 Check out my latest unit There Was an Old Lady Who Swallowed a Shell on Teachers pay Teachers or Teachers Notebook! The colors are so vibrant in this unit that it makes me want to head to the beach for a little relaxation time. 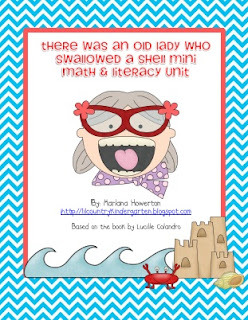 This would be great during your ocean unit or just plain fun to finish out the school year! I would love to send this unit to the first three people who comment and include an email address. :) Thanks, ladies! Here's a little freebie that I created to go along with this unit. I hope you like it! 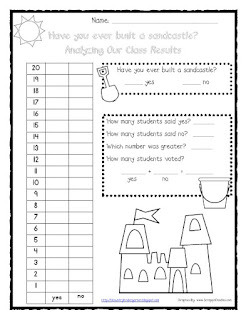 It's a class graph and results response sheet called Have you ever built a sandcastle? Click on the picture below for your copy. Thank you so much for your comments! I just sent you an email. Please let me know if you didn't receive it. I know I missed the giveaway, but I just wanted to let you know that the packet looks great. Very cute! It's in my wish list for my ocean unit next month. Thanks so much! rats, tried to reply and my phone messed it up. Kelly, Ruth, Sandra & Heather, did the email you received include a copy of the freebie and the unit? My email was messing up and I had to save it as a draft and go back into it and I'm not sure it got sent correctly. Please let me know if it didn't. I just checked my email and it only included the freebie. Can't wait to do all the ocean stuff in May and first week of June! Thanks for the cute freebie! I love that book and I love your blog and all of the fun things you create! I've tagged you for a fun game! Check my blog to find out how to play! I am one of your new followers from TBTS!